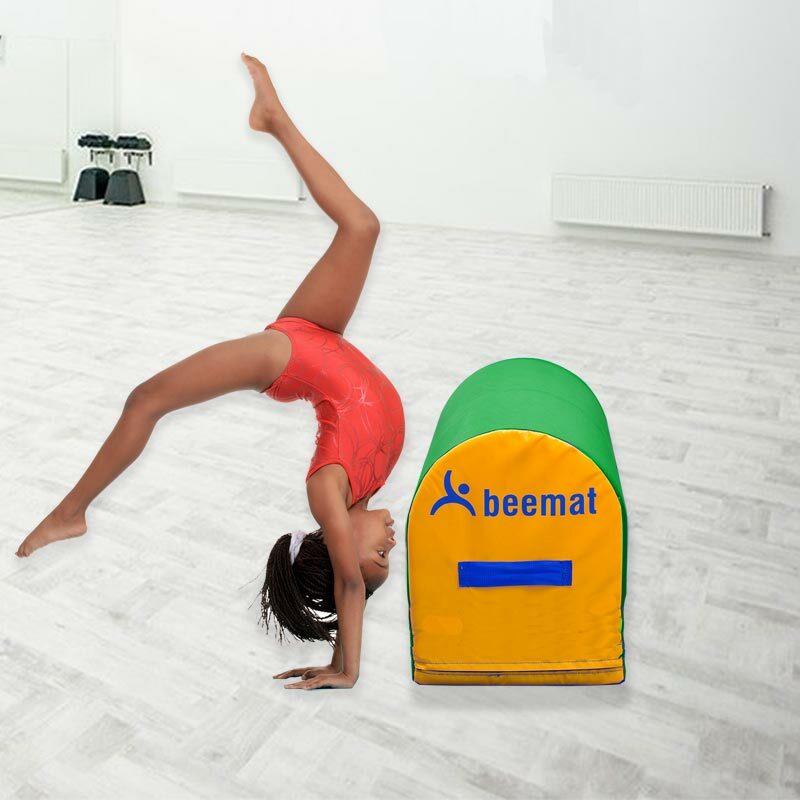 The Beemat ® Medium Mailbox Training Block is an affordable gymnastic training aid for teaching dive rolls, handsprings and backflips. Sturdy enough for children to push off whilst also soft enough not to cause injury if collided into. Helpful in teaching handsprings, backflips and dive rolls. Perfect for teaching basic skill development. Will improve strength, agility, flexibility, timing and coordination. Convenient carry handles either end for easy transportation. High quality, polyether foam inner. 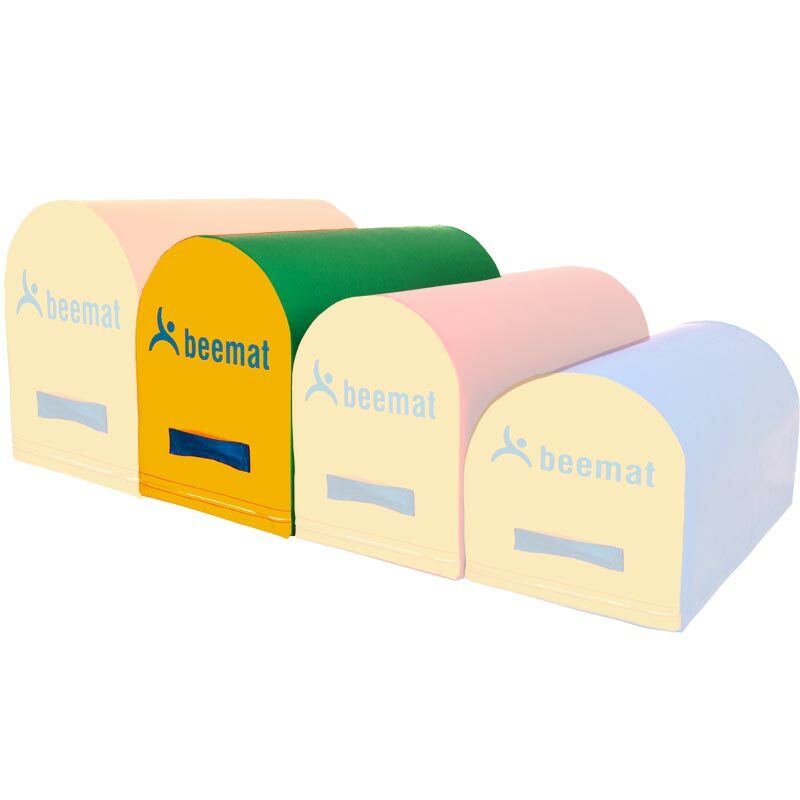 Medium - 0.6m x 0.45m x 90cm - Green/Yellow - 1'12" x 1'6" x 2'11".